New album releases on June 15 at Rhythmic Relations 2019! Since then, the group has performed on the Academy Awards, the Grammy Awards, NBC's "The Voice," Syfy's Face/Off, The X-Factor, rock band 30 Seconds to Mars' "Up in the Air" music video, Conan, Jimmy Kimmel Live, the iHeartRadio Music Festival, and were honored with the prestigious Visionary Award from East West Players. 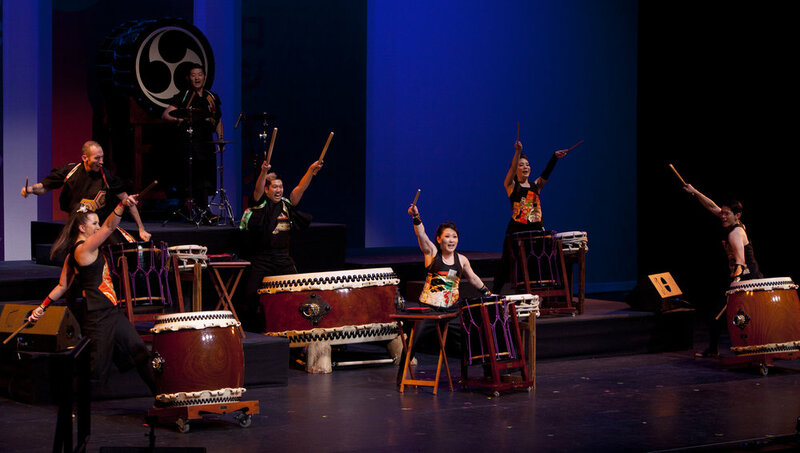 TAIKOPROJECT has performed and recorded with Stevie Wonder, Usher, Alicia Keys, A.R. Rahman, John Legend, Kanye West, producer Squeak E. Clean, Sean Paul, Diplo, as well as international stars such as Greek singer Antonis Remos, Persian singer Mansour, Brazil's Olodum, and Netherlands' Tiesto. They have recently appeared on Ovation TV's "The Art Of", The Late Late Show with James Corden, Food Network's Iron Chef Gauntlet, and the MTV Movie & TV Awards. 2019 Suzuki Katana Reveal TAIKOPROJECT created an energetic reveal performance for the iconic 2019 Suzuki Katana motorcycle.